Visit Jessica Kingsley Publishers to browse the selection of interesting and informative books including books about Selective Mutism and anxiety. 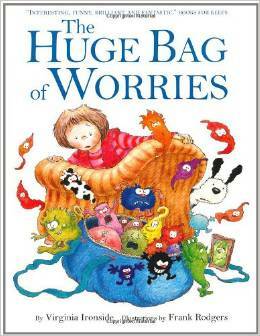 The Huge Bag of Worries was written by Virginia Ironside. 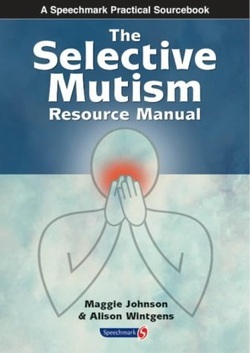 THE SELECTIVE MUTISM RESOURCE MANUAL.Selectively mute children are at a significant disadvantage personally, socially and educationally. This unique manual emphasises practical assessment and treatment and provides advice and information, filling a significant gap in the availability of suitable resources in this field. - Uses an approach based on behavioural principles and a hierarchy of stages of confident speaking originally conceived by Anthony Glassberg. - Summarises relevant literature and theory and provides detailed ideas on assessment and management. - Includes case examples, photocopiable material, and a discussion about progress, transfer and discharge. - Written for teachers, clinical and educational psychologists, speech language therapists, child psychiatrists and parents. 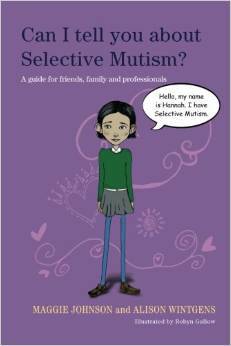 Meet Hannah - a young girl with selective mutism (SM). Hannah invites readers to learn about selective mutism from her perspective, helping them to understand what it is, what it feels like to have SM, and how they can help. This illustrated book is packed with accessible information and will be an ideal introduction to selective mutism. It shows family, friends and teachers how they can support a child with the condition and is also good place to start when encouraging children with SM to talk about how it affects them. 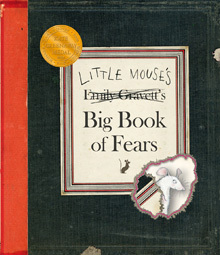 Young children will identify with the little mouse who uses the pages of this book to document his fears – from loud noises and the dark, to being sucked down the plughole. Packed with details and novelty elements including flaps, die-cuts and even a hilarious fold-out map, this is an extraordinary picture book. Winner of the Kate Greenaway Medal 2008 . 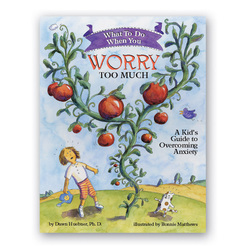 What to Do When You Worry Too Much is an interactive self-help book designed to guide 6-12 year olds and their parents through the cognitive-behavioral techniques most often used in the treatment of generalized anxiety. Engaging, encouraging, and easy to follow, this book educates, motivates, and empowers children to work towards change. It includes a note to parents by psychologist and author Dawn Huebner, PhD. 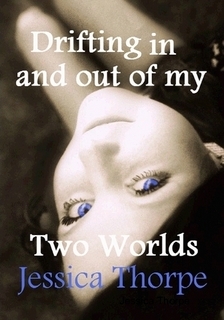 Drifting in and out of my Two Worlds follows the fascinating journey of a girl with the anxiety disorder, Selective Mutism. Based on a true story and written in the first-hand knowledge of a sufferer who overcome Selective Mutism, it is a unique story which will grip readers from all audiences. The story highlights the stark contrasts between her lives within and without of the school grounds, the nation’s incredible ignorance towards the disorder, how to deal with selective mutism, and the harrowing consequences of it being left untreated. Captivate yourself with the distressing twists of bullying throughout the years, a near-death experience, how she spoke in front of hundreds of people whilst entrenched with the mutism, and how she, being the only person in the knowledge of her disorder, spoke out about it to a teacher. As well as an engaging read, it is therapeutic, most informative and of great interest when understanding the difficulties children are faced with when they have an actual fear of speaking.